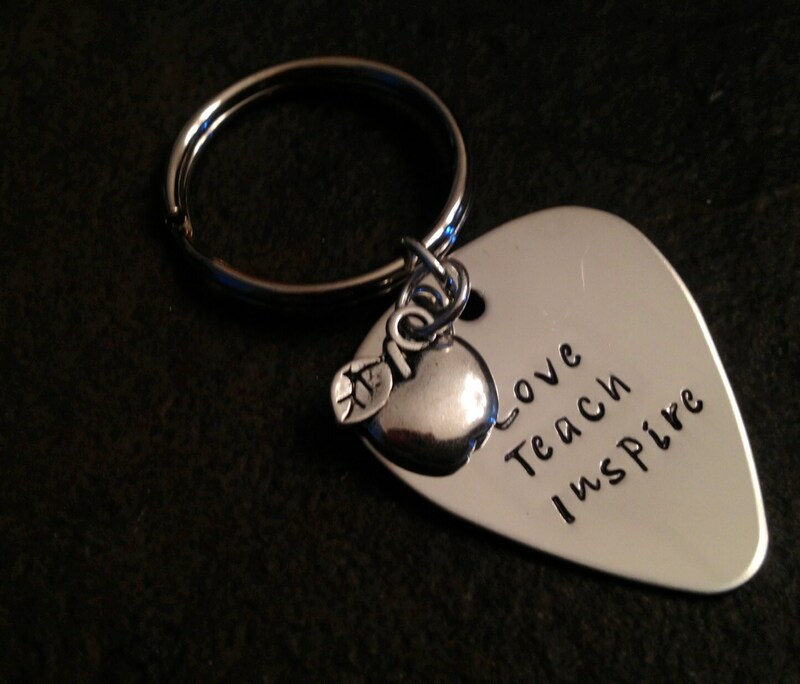 Love teach inspire keychain with apple charm (apple can e subbed for something else. Convo me for the options!). Hand stamped on a "guitar pick" shape. Feel free to change the wording to your liking! !